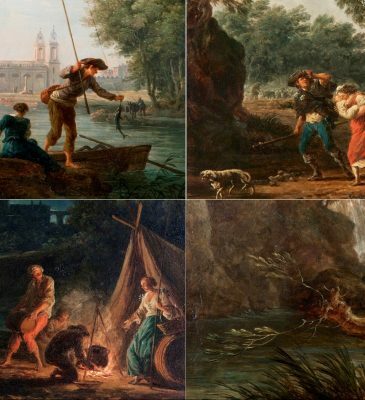 … is freely inspired by the four paintings with the same title by Claude-Joseph Vernet. He was was considered the leading French artist of his time in his genre, marine art and landscape painting. 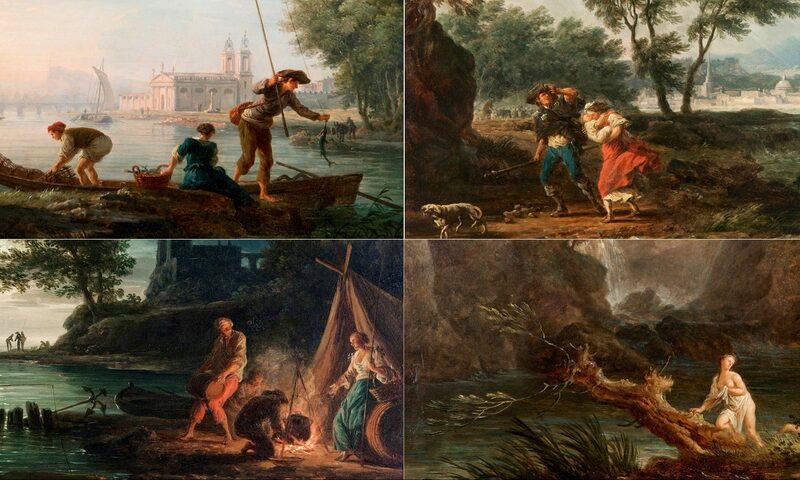 The four times of the day are all signed and dated 1750 and they belong to the Musee de la Marine Palais de Chaillot, Paris. The first depiction is entitled Morning. The painting shows a misty morning scene with fishermen with his boat. The second painting, entitled Midday depicts a sudden, unexpected storm. The painting Evening shows women bathing and washing their clothes. The final scene shows a rocky inlet, with fishermen drying their nets while others are gathered round a fire. 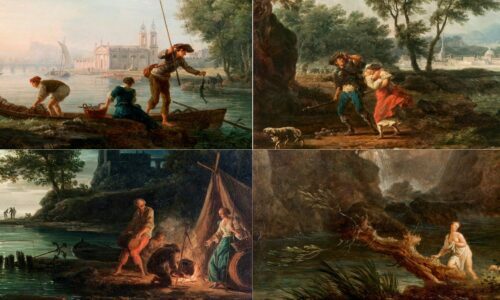 The scenes depicted in these four paintings were Vernet’s favourite scenes that he painted in different settings throughout his career. The music simply follows the scenes in a illustrative way with a special attention for the beautiful details of this paintings.